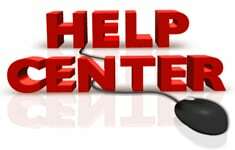 Are you fed up with line interference and electrical noise on your CB, Scanner, stereo, and two-way radio? A CB Radio Noise Filter from Workman Electronic Products, the Bandit CBNF3AXX CB/Stereo power noise filter will reduce engine and electrical noise on your radio. The Bandit Noise filter is a 20 amp inline filter specifically designed for tackling noise from alternators, engine, wiper motors, and other automotive electronics. The CBNF3AXX power noise filter includes the 3 pin power plug most new CB radios use. The plug can be removed to adapt this device to work with many other radios. 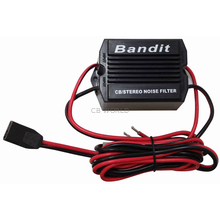 Carefully following the included installation instructions for the Bandit power noise filter will protect your automotive electrical system, radio, and reduce line noise. Unfortunately, if the noise is emanating for your antenna the Bandit noise filter will not be of help. Note: Red goes to the battery. Black for your ground.